If you have been using modern synthetic strings, consider easing into the world of gut strings via the Heifetz set up. While he adopted the steel e" string early in his career in America, he kept the gut a' and d' strings as well as silver wound gut g string for his entire life as a musician. The gut e" string produces a unique and beautiful sound and I don't want to discourage you from trying it, but you will have to remove the tuner from the violin. Also the e" string is under the most tension and because of this, it has a shorter life than the other strings. Though there are various apocryphal notions, no one really knows what gauges Heifetz used. And really this is of little importance since the strings must suit the violin that you happen to be playing. 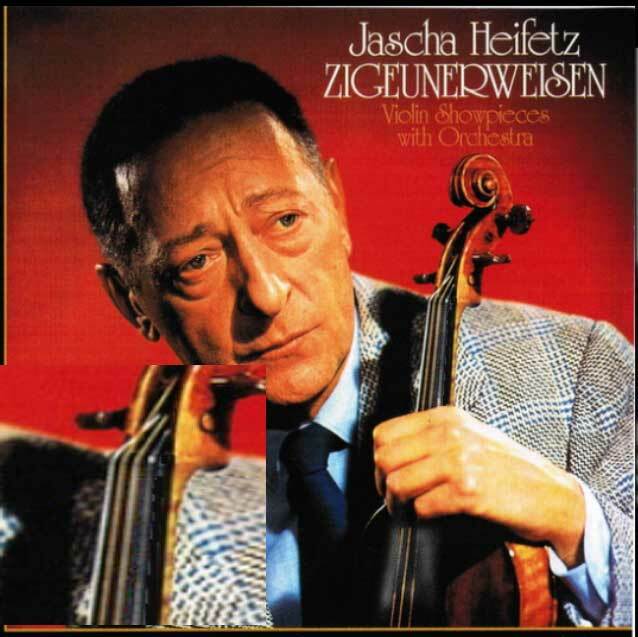 Pictures and video of Heifetz playing the violin indicate clearly that the gauges were fairly robust, and one can hear in the recordings a sound rich in color and never too bright. Here is a still image which nicely portrays Heifetz’ strings. .